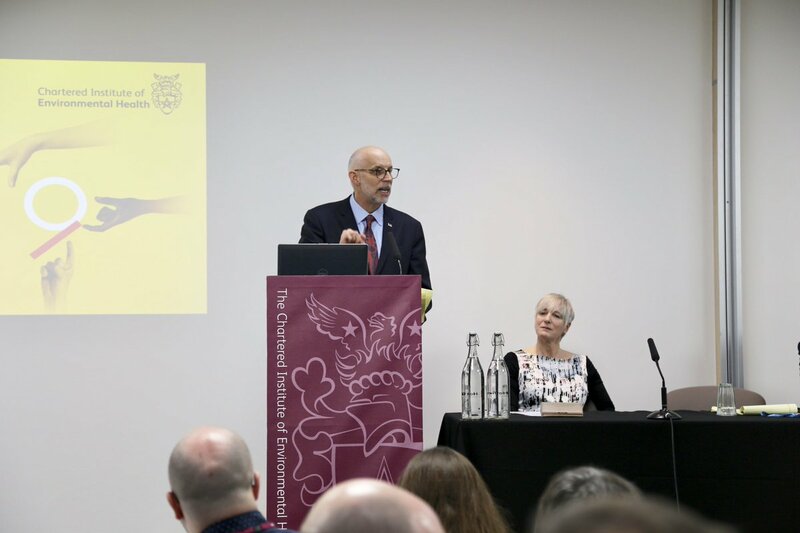 NEHA Executive Director Dr. David Dyjack delivered the keynote address at this year's Chartered Institute of Environmental Health (CIEH) Year Ahead Conference in London. The 2019 Year Ahead Conference brings professionals and notable speakers together to discuss the future of environmental health in the United Kingdom and around the world. Dr. Dyjack talks with Daniel Oerther, Professor of Environmental Health Engineering, about receiving an award for Best Innovative Environmental Health Solution at the Chartered Institute of Environmental (CIEH) Year Ahead Conference in London. Dr. Dyjack asks Martin Fitzpatrick, Chair of the Environmental Health Association of Ireland, about Brexit and what it means for environmental health in Ireland.